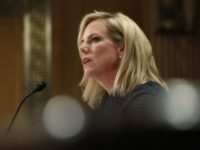 DHS Secretary Kirstjen Nielsen will allow the importation of 30,000 extra foreign laborers for landscapers, resorts, and other businesses despite President Donald Trump’s “Hire American” promise that has helped raise blue-collar wages by four percent in 2018. There are no Americans in America and no history of America, just immigrants and their “story,” says a new video by former President George W. Bush’s Bush Center. 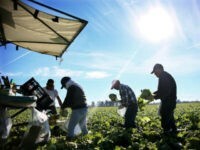 American farm companies are gradually replacing their illegal migrant workforce with machinery and with legal temporary workers, according to the Washington Post. 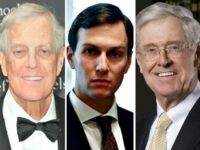 President Donald Trump appears ready to ditch his Inauguration Day promise of a “Hire American” economic policy — even though thousands of auto workers are being laid off, millions of Americans do not have jobs, and many millions of Americans cannot get better-paying jobs. The wages, productivity, and work satisfaction of blue-collar Americans are rising fast under President Donald Trump’s high pressure, low-immigration economy. 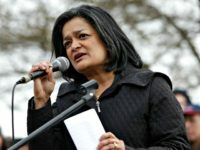 Indian-born Democratic Rep. Pramila Jayapal says the U.S. economy needs millions of wage-cutting visa workers for lower-skill jobs. 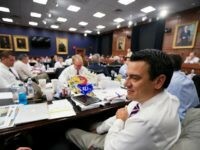 GOP leaders have withdrawn $1.2 million in promised campaign funding for Kansas Rep. Kevin Yoder, who is facing a tough reelection race after endorsing a series of job-outsourcing programs in an August vote, according to TheHill.com. 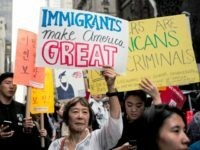 The owner of a catering and wedding business in New York is facing 20 years in jail for allegedly treating H-2B visa workers from the Philippines as underpaid servants. 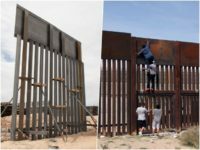 The Republicans in Congress have yet to secure funding for President Trump’s most central infrastructure project: A border wall on the United States-Mexico border. 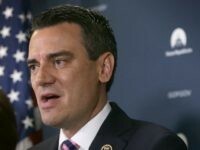 Kansas GOP Rep. Kevin Yoder is doubling down on his plan to help business groups import hundreds of thousands of cheap foreign workers to take many jobs which would otherwise be worked by Americans at middle-class wages. 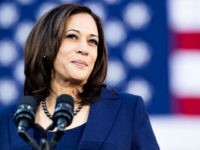 CEOs and investors need the government to import more foreign graduates for U.S. jobs because “a sustained reduction in immigration could dampen growth,” says a report in the New York Times. 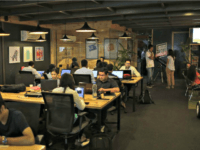 Officials at the Department of Homeland Security have tightened an obscure regulation in the H-1B visa-worker program, likely curbing companies’ ability to outsource more white-collar jobs to cheap foreign college-graduates. 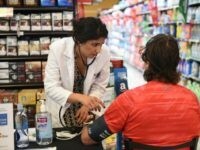 Federal data shows that legal immigrants are filling a growing share of several upper-middle class professions which have seen little salary growth since 2000. 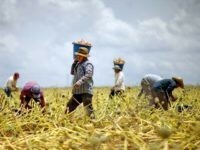 The government should allow farm companies to import an army of minimum-wage foreign workers to pick and process the fruits preferred by upper-income consumers, according to an op-ed in the Washington Post. 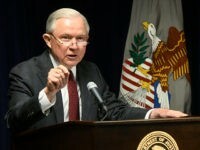 Attorney General Jeff Sessions is reversing the closed-door “administrative closure” amnesty for 350,000 migrants which was quietly created by officials working for former President Barack Obama. 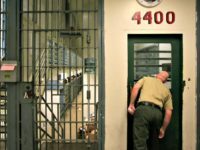 Iowa Public Television provided viewers a 2012 look inside Yarrabee Farms, the Iowa dairy farm which employed Mollie Tibbetts’ suspected killer. 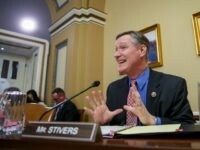 The legislator responsible for keeping the GOP’s House majority in November says companies should be allowed to hire an unlimited number of foreign university-graduates in place of Americans. 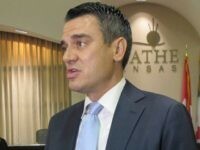 Kansas Rep. Kevin Yoder rejected a personal plea July 25 from Attorney General Jeff Sessions before Yoder voted to revive former President Barack Obama’s catch-and-release policy for economic migrants, sources tell Breitbart News. AG Jeff Sessions’ Department of Justice is expanding its initiative to crack down on businesses hiring foreign workers over Americans. 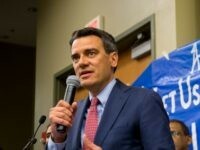 Rep. Kevin Yoder is tap dancing away from his decisive support for a Democratic amendment which restores President Barack Obama’s catch-and-release border policies. 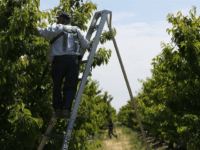 The GOP-run House appropriations committee has voted to expand the H-2A visa-worker program so more farmers can import more year-round workers instead of seasonal workers. 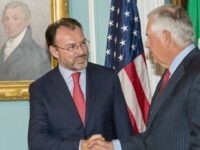 U.S. and Mexican negotiators are using the NAFTA 2.0 talks to develop a new guest-worker program that would allow more Mexicans to work legally in the United States, Mexico’s foreign minister said in March 22 speech in California. 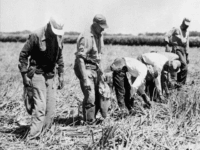 Many low-wage employers are importing cheap foreign labor by offering them citizenship instead of pay, so helping boost profits by sidelining blue-collar Americans. 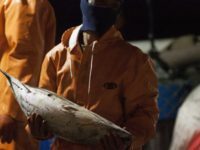 The GOP’s House leadership has won a committee’s approval for the food industry’s huge H-2C outsourcing bill by adding an amendment which requires all employers to verify the legality of possible new hires. 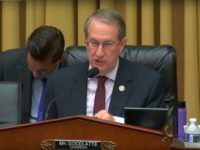 Farm industry lobbyists and the GOP chairman of the House Judiciary Committee will try again on October 24 to pass a bill that would let companies import an army of 1 million low-wage foreign workers for a wide variety of Americans food-sector jobs. 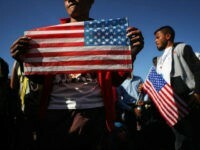 President Barack Obama spiked the annual inflow of temporary foreign workers by 43 percent from 2012 to 2016, and his policies are still raising the numbers in President Donald Trump’s first year. 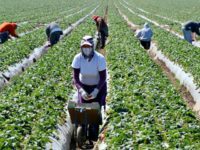 Legislators canceled a scheduled Tuesday committee vote on the huge Agricultural Guestworker Act, and have not set a new date. 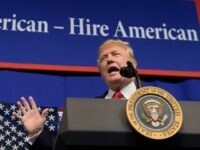 President Donald Trump’s populist “Hire American’ policy is forcing employers to hire more Americans at higher wages, says a new report by the Wall Street Journal.